Gojira remain crushingly heavier than the vast majority of “commercial” metal bands today. That said,Magma lends the impression they’ve come closer to quiet introspection than ever before. With that, I get the mixed reaction from fans. For whatever reason, I’m reminded of the way The Mars Volta reinvented themselves in 2009 with Octahedron; they’re simply taking their essential style down a more subdued path than we’re used to hearing from them. This has been the most interesting time to talk about Gojira at least since the release of The Way of All Flesh in 2008. They had fallen off my personal radar for a few years, and I haven’t been enamoured as much with From Mars to Sirius and The Way of All Flesh since around the time the two came out. 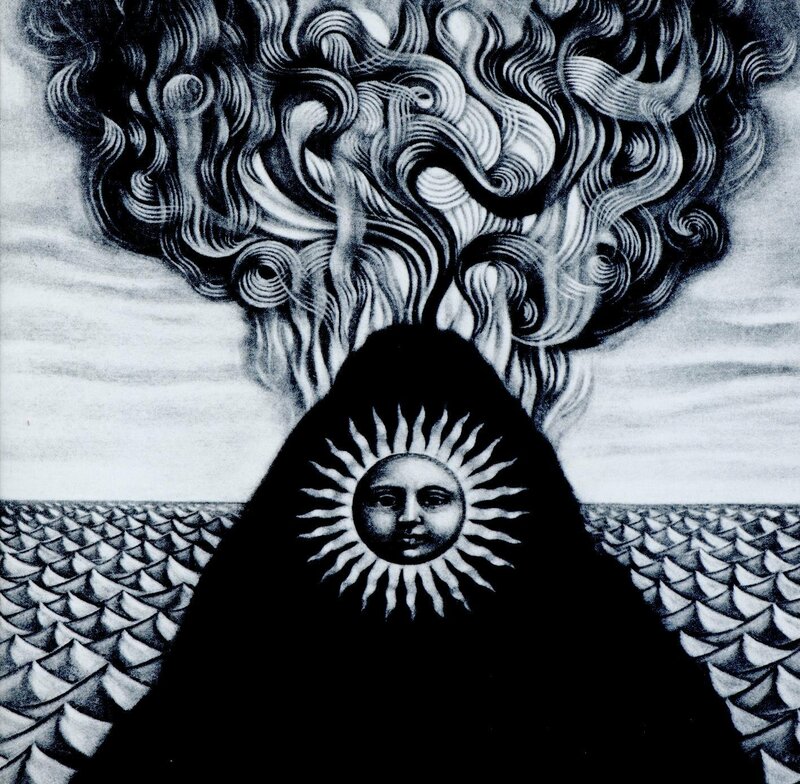 A polarized reception like Magma‘s, if anything, seemed like a sign that Gojira might be reinventing themselves in a way that could make them exciting again. A more melodic, atmospheric and airy album could not possibly have been popular with their fanbase, but that’s not to say they don’t do it really well. Of any of Gojira‘s albums, this is definitely the biggest grower-type they’ve yet released. Because it’s not as intensely heavy and urgent as the others, the layers take more time to grow. Considering I’ve always considered that their sheer heaviness was one of Gojira‘s best, it really is refreshing to hear them without those extremes. From this, their other defining traits come through more clearly. Their massive-sounding atmosphere still makes it sound like they’re recording in an underwater cavern, the progressive grooves are extremely hooky, and the melodic accents carry their weight several times over. Gojira have effectively channelled the same urgency in tighter confines. The writing isn’t quite as consistent as it could have been, but there’s more than enough solid material here to suggest their change of pace was a good idea. The mellower (at least relative to past work) approach works well for Gojira‘s subject this time around. Although their music’s almost always related to their personal convictions, Magma draws the music even closer to home. The Duplantier brothers’ loss of their mother affected and moved them a ton; it would be more surprising if their next album hadn’t been inspired at least in part by that experience. From this, Gojira‘s most powerful lyrics have inevitably stemmed; even if their clean vocals aren’t quite strong enough to deserve such a prominent role on the album, the words and lyrics are powerful enough to sell it through. Even if Magma was inspired by a real-life loss, they still manage to touch upon grander ideas: the afterlife, the loss of love, and the will to carry on in spite of pain. They’re not the sort of lyrics you can fully appreciate on paper alone; the music’s celestial atmosphere is what gives the words their spiritual weight. There are a few fantastic songs here. “The Shooting Star” is a slowburning opener that quickly impresses the fact upon the listener that they’re in for a subdued Gojira. “Silvera” was the first song I checked out from the album, and it’s still probably my favourite, with punchy dark riffs that sound like they were drawn from The Way of All Flesh. “Stranded” has one of the coolest-sounding riffs I’ve ever heard from the band, and “Low Lands” is a solid way to climax the album, trailed afterwards by the gently acoustic “Liberation.” Although the album has definitely grown on me over the course of listens, I have started to feel that Magma is conspicuously frontloaded when it comes to its quality material. All of the songs here are solid, but I find a harder time in remembering great moments from the second half of the record. I support Gojira‘s subdued evolution, but the lack of standouts nonetheless puts this below their best work. Other than that, there are no gripes to be had with the band’s softer approach. The same intensity as always is here — it just takes a bit more digging on the part of the listener to get it.